Our WordPress website design Birmingham services are powerful, creative and engaging for your customers. If you don’t aim for perfection when it comes to your overall marketing strategy, then why are you even bothering? Without a flawless design, super fast loading and a powerful CMS, then you can’t expect a customer to take notice of your website, never mind make a purchase from you! With all this in mind, we created our WordPress website design Birmingham services to give you a little peace of mind when it comes to marketing your business online. Our team of web developers combined with our in-house content writers and SEO executives can bring your website dreams to life. In fact, we make the process so simple that you don’t need to lift a finger. If you’re thinking a website is basically just a few pages linking together, you need to do a little more research. A website needs that perfect layout, the compelling on-site copy as well as extensive SEO to even begin to get noticed. Without it, your pool of customers will be very shallow. We always say that if you can’t be found online, then you may as well not exist. Be a step above your competition and take the necessary steps to get noticed. We wouldn’t brag about our WordPress website design Birmingham services if we didn’t think this CMS was one of the best out there. WordPress is bursting with advantages to really make your website pop, as well as packed full of downloadable plugins to make your site perform its best. What can you expect? Google now favours mobile first, over any other device, meaning it’s essential that your customers can fully view your site wherever and whenever they choose. If you want to really make people stay on your site, WordPress makes it incredibly simple to do so. Gone are the days where a desktop user is the first priority. You need to look after your mobile and tablet searchers too or risk losing out on a lot of custom. This one is a must if you want your customers to trust you. It’s surprising how so many businesses opt for a basic website over one that looks impressive and professional. How do you expect a company to trust you if your website is poorly designed and looks a little spammy? 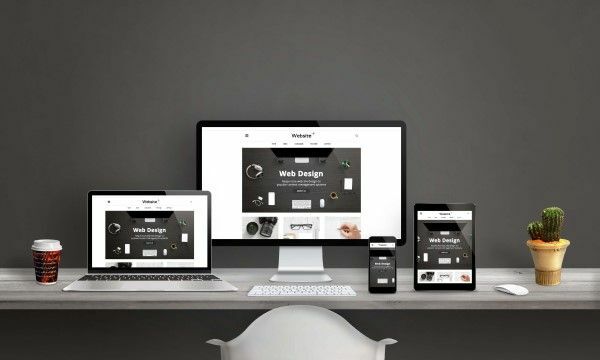 Our website designers are skilled in making your website look appealing to your target audience, taking into account layout, navigability and overall user experience. A little bit of software installed onto your site can go a long way when improving its functionality. Want to improve the security of your website? There’s a plugin for that. How about assessing your SEO efforts, including some pointers to where you can improve? Yep, there’s a plugin for that too! Our web development team take all this into account to ensure your site is always in its prime. It’s simple to use and edit. Should we ever have to hand your website over to you, WordPress makes it easy for anyone to use. It’s a hugely customisable CMS and is an incredibly simple program to use behind the scenes; learning the ropes won’t take long! With so many design options available, our Birmingham WordPress website design team can make your site match your brand in no time. Do you have your own website already? Is it not performing as well as you’d hoped it would? We’d advise you to look into this is little further. Why not take advantage of a site audit? It’s completely free and will provide you with a comprehensive report within seconds. Try it out below by inputting a few details! Why use Bigfoot Digital’s expert web designers? 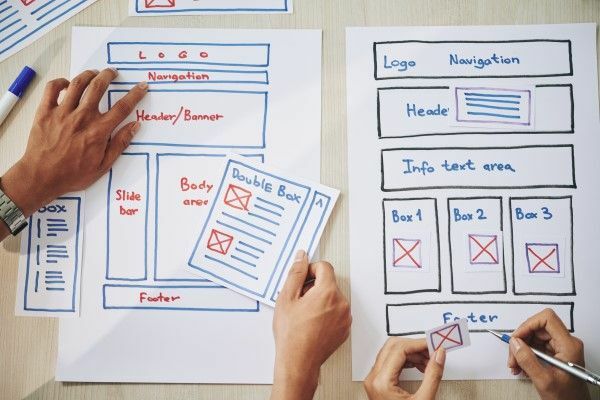 We think our web developers are incredible, which is why we’re extremely confident we can deliver exactly what you need in a business website. We’ve built WordPress websites for a long list of businesses, big and small, so whatever your web build requirements, don’t be afraid to get in touch with us! We’re not one of those companies who take your money and provide you with half a job. Neither do we ignore you throughout our work – that’s the sign of an untrustworthy agency that you should steer clear of. We’ll talk a lot before we begin, finding out about your business thoroughly to understand you more. The beauty of WordPress, as mentioned previously, is that it can be personalised to match who you are and what you do. We never use a single approach and a ‘same-old’ web design for each of our clients. Instead, we’re able to offer a completely personalised package, bespoke to you. For expert WordPress website design Birmingham services, choose Bigfoot Digital. Your website isn’t performing as well as you need it to. You’re losing sales fast and you’re not sure why. People are leaving your site before even getting the chance to browse your products or make a purchase. Do any of these sound like your situation? If so, you’ve found the right agency. We’re here to help! Our WordPress website design Birmingham services are a cut above the rest. If you’re looking to rise above your competitors and secure that sale before they do, it’s time to do something about it. Let’s get to work on your new website, together. For more information about our extensive list of services or if you have any burning questions about building a brand new brochure or ecommerce website for your business, talk to our friendly team today. You can call us or drop us an email at enquiries@bigfootdigital.co.uk.